The dollar traded lower versus majors as investors seek riskier FX Markets, moving out of the JPY and USD. 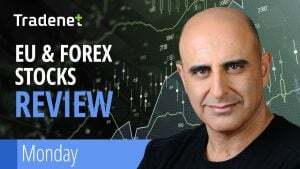 The AUD was the winner in the markets Friday moving up more than 1% versus the JPY and breaking above the 80 resistance level for the first time in 2019. Most other FX markets traded a narrow range typical trading day on low volatility and little markets participation. Global equity markets traded higher on strong US financial sector earnings, opening the earnings season on a positive note and trading at 2019 highs. Metals traded mostly higher on a softer dollar and Oil closed the trading week on a flat note yet managed the sixth week in a row in the green, up marginally 40 cents for the week to close at 63.74$ per barrel. CAD BOC Business Outlook Survey at 1:30 pm is the important news on the agenda Monday. (all times GMT).